Bro. 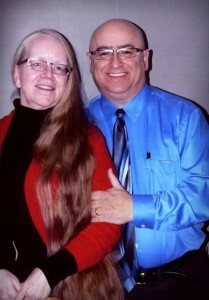 John Saponari is a multi-faceted, 31 year Apostolic. He leads the Thursday night FOCUS Bible Study group at his home (899 Quail Run Tr, DeKalb, 815-739-2021) . The group covers doctrine and the incorporation of scripture in today’s life. Since 2005, John has led the Elijah’s Mantle class, an introductory course of Apostolic beliefs and practices. In church services, John operates the sound system, sings, or plays the bass, keyboard or drums. He also teaches the teen boys Sunday School class. In January 2000, shortly after a job offer brought him from his hometown in upstate New York to Illinois, John came to be an important part of the UPC of DeKalb. Baptized in Jesus’ Name on January 29, 1982, John received the gift of the Holy Ghost the very next day. By the time John came to DeKalb, Jesus had given him a working knowledge of the Word, which John uses in teaching and in leading those who have questions about this Apostolic doctrine. In addition to his love of teaching God’s Word, John is an especially gifted salesman and number cruncher. In 2003, John, Sharon, and Pastor Davis opened a local office for Jackson Hewitt Tax Service. It has bloomed into four Northern Illinois territories housing nine office locations. Sharon Saponari started attending church, had her sins washed away in Jesus Name baptism, and received the gift of the Holy Ghost, all in January 2002. After a great start to that year, she finished the year by marrying John on December 15, 2002. Sharon compliments John’s ministry by co-hosting the Thursday night FOCUS group, teaching the teen girls Sunday School class, and working in the multimedia ministries. Sharon is active in the Ladies’ Ministry and can be found helping behind the scenes in various church activities.